Find hotel near Mawkdok Dympep Valley Vie .. The best way to enjoy the panoramic views of the Mawkdok Dympep Valley is by standing at the Duwan Sing Syiem Bridge. Located at the very beginning of Sohra tourist circuit, this bridge that offers beautiful views has become one of the most prominent attractions of the place. The viewpoint of the Mawkdok valley has been developed by the forest department so that the tourists can enjoy and appreciate the natural beauty of the valley. However, one has to walk down a number of steps to reach the same. 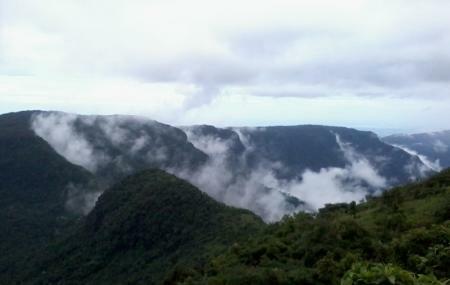 Most Tourists get the first view of the Mawkdok Dympep Valley, which extends right up to Cherrapunji, from this view point. One has to walk down a number of steps to reach the same. Getting a clear view is a matter of chance as mostly it is obscured by clouds. Visitors can take a bus from Cherrapunjee bus station. How popular is Mawkdok Dympep Valley Viewpoint? People normally club together Sa-i-mika Park and Eco Park while planning their visit to Mawkdok Dympep Valley Viewpoint.